Both versatile and grand, the Long Velvet Cloak with Hood is an excellent choice for nearly any medieval, Renaissance, or fantasy look. 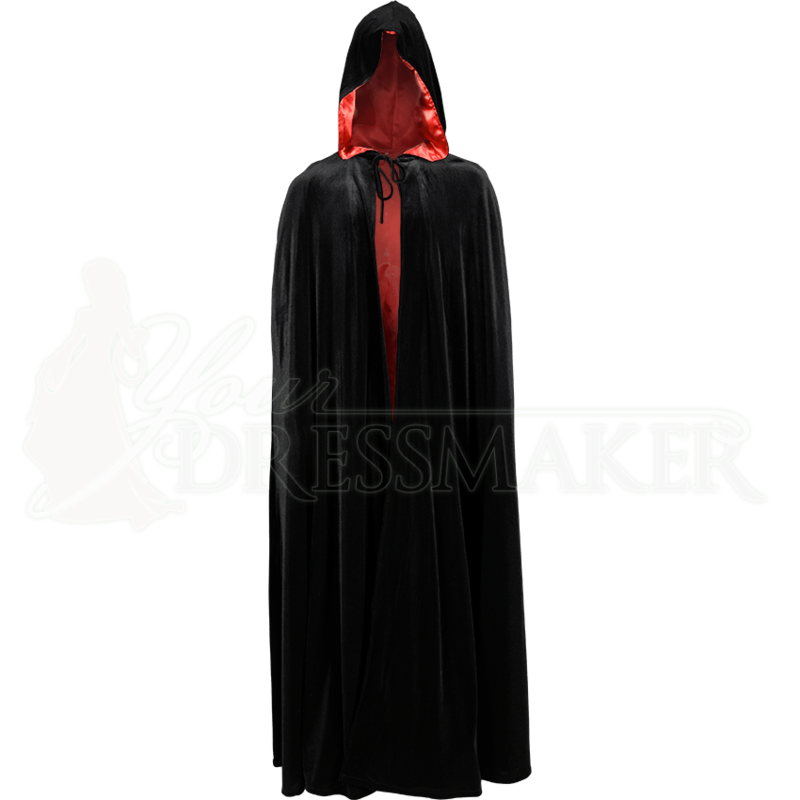 The plush, luxurious velvet outer of this full length cloak is fully lined with sleek satin. The roomy hood is fastened at the neck with a matching fabric tie. With its full length and elegant drape, this velvet Renaissance cloak adds lavish elegance to any outfit. 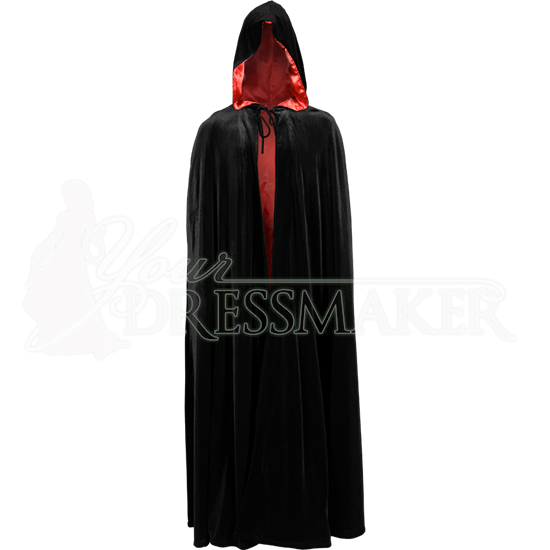 Available in a range of color combinations and sizes, this royal velvet cloak is an ideal choice for Renaissance fairs, reenactment events, and more.